Before I even begin to comment on the taste sensation these little chocolatey treats deliver, I have to say that I am also rather partial to the colour combo of the rich dark chocolate and the contrast this creates with the delicate peppermint green icing and chocolate sprinkles - a visual feast! 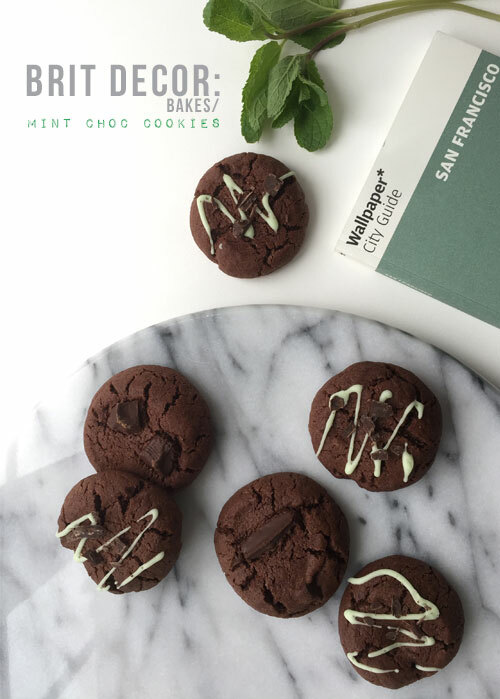 The highly delicate crunch of these peppermint flavoured cookies combined with the velvety texture of the chocolate chunks provide a melt in the mouth moment, whilst the sweet peppermint icing adds a friendly 'kick' to the overall taste sensation. The key is not to overcook these, which gives a softer chewiness to each bite. Preheat the oven to around 180oc. In a bowl, mix together the sugar and butter before adding the egg & peppermint to create a light and fluffy consistency. Then gradually add the flour, cocoa powder, salt, baking powder and bicarbonate of soda. Finally, add the chocolate chunks and mix well. Whilst waiting for the oven to heat, I popped the mixture into the freezer for a few minutes but this is optional. Line two baking trays with greaseproof paper. Roll out the mixture into small tablespoon-sized balls (approximately 12) and place onto the baking trays. 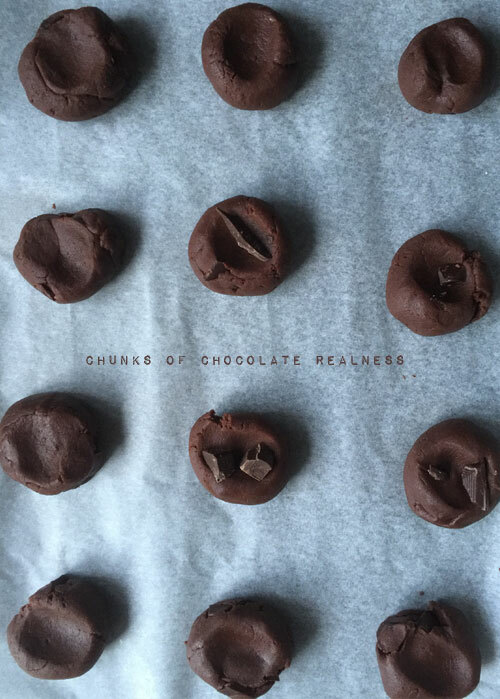 Gently press down the top of each ball with your thumb and add a few more chocolate chunks on top. Bake for approximately 10 minutes (the centres should still be soft). 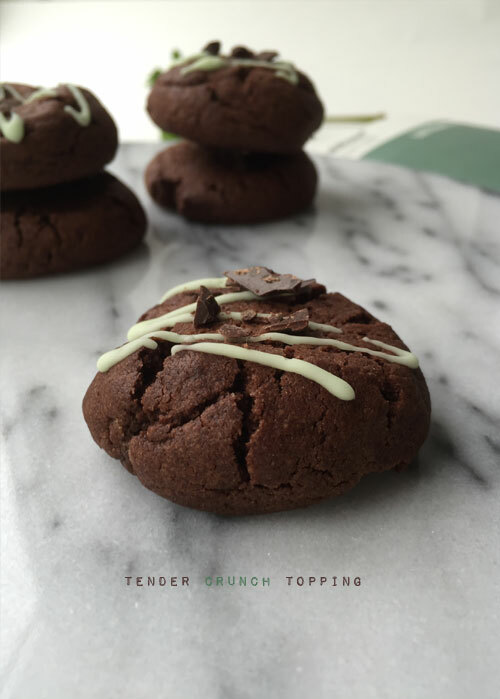 Allow the cookies to cool completely before mixing up the icing (I dare you not to try a warm one!) 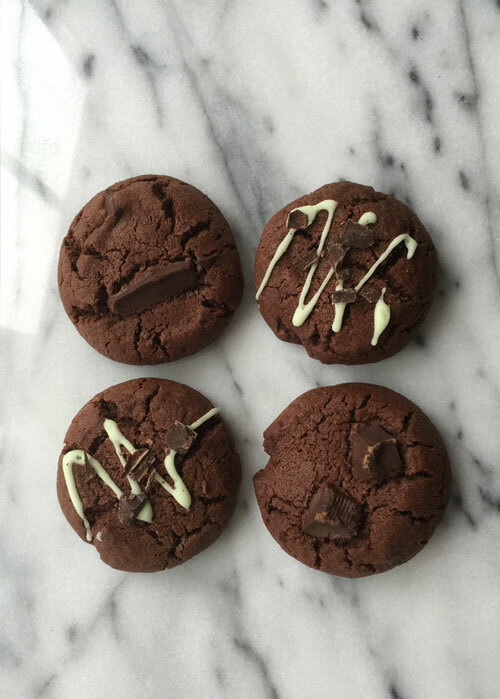 Drizzle the green icing over the tops of the cookies and sprinkle with some of the chocolate debris.